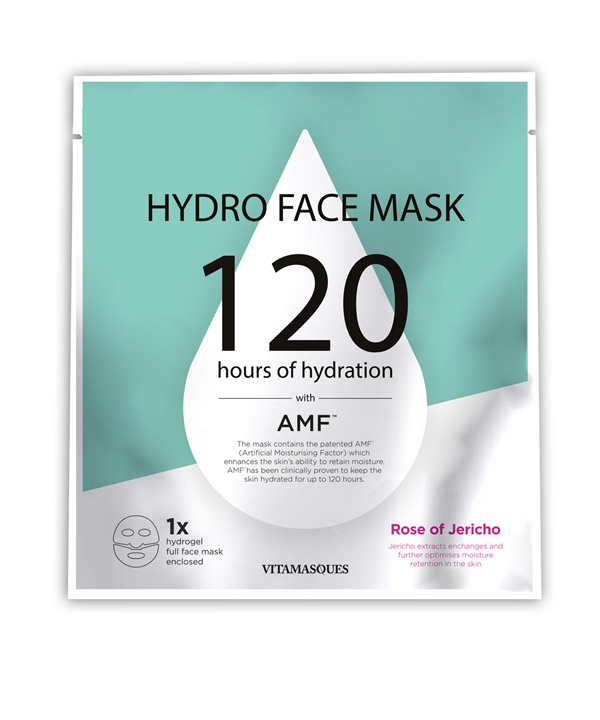 A fan favourite, for many outstanding reasons - one of the only face masks that can guarantee long-lasting results for 120 hours after use. Infused with Rose of Jericho extracts which is one of nature's miracle plant for locking moisture in for years at a time and combined with AMF (Artificial Moisturising Factor) which is clinically proven, with the assistance of nano-particles to stop moisture evaporating and boosting your skin's natural retention levels. Key Benefits ¦ Improves your skins natural moisture retention levels ¦ Boosts the effects of all hydration for long-lasting effects ¦ Assists with anti-ageing, long-lasting hydration & a natural glow ¦ Designed to fit everyone - this mask is split into an upper and lower section for ease of use. 1. Wash and cleanse your face in preparation for applying your mask. 2. Remove the protective film from both sides of the Hydrogel Mask. 3. Apply both sections of the mask to your face and smoothen with fingers for an even surface. 4. Leave the mask on for approximately 30 mins, when removing, gently rub remaining product into the skin until absorbed.